Northern Virginia Checker Cab is the main taxi service provider in Manassas, servicing all Northern Virginia and Prince William County areas. You can count on great rates for Dulles taxi service. When catching a flight, time is of the essence, and you need capable drivers that wouldn’t risk getting you into traffic jams. Novachecher taxicab will get you punctually to your desired location. Therefore, if you are tired of searching for a cab on the spot, you can use a “taxi near me” command on your smartphone by turning on Voice Search. Novachecker’s chauffeurs have a vast knowledge of the area and know all the fastest shortcuts and roads that guarantee your prompt arrival to and from IAD airport. With Nova Checker Cab nearby, you will be instantly on the way to your chosen destination. 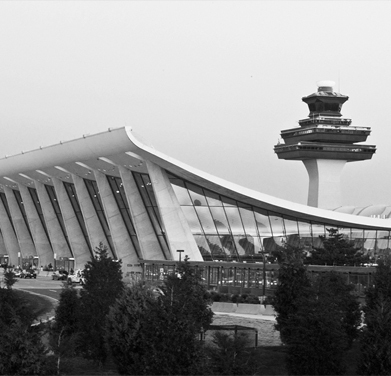 Dulles airport serves more than 21 million passengers per year which sums up approximately up to 60,000 passengers a day. There are Duty-Free shops there as well as many other cafés and restaurants. This airport is also included in the program called “Airport Ambassador” which provides assistance for passengers with special needs. Dulles livery service provides a comfortable journey while having ample space for all your luggage. Each car is carefully inspected and given a once-over before heading out on the streets. Well-maintained vehicles provide reliability and quality of service, and hygiene is crucial. That is why all cars are impeccably clean and are washed and vacuumed regularly. Our employees are professional drivers who will smoothly take you to Arlington, Montclair, Buckhall, Unitown, Loudoun county or any other area in Northern Virginia. No matter when your flight is and where you need to go next, Novachecker taxi near you provides 24/7 service, all year round. One of our chauffeurs will be in front of your place in a matter of minutes! You can schedule a pick-up in advance and ensure your transportation is one thing less to worry about. Track the vehicles on a map and see their real-time location. Apart from Dulles airport car service, stress-free transportation to Baltimore Washington International (BWI), Ronald Regan Washington National Airport (DCA) and Manassas Regional Airport (HEF) is among our services. Check out the rates and see how affordable and reliable our offers are. Whether you are flying for business or pleasure, Nova Checker Cab has got your back. Book a ride with few simple clicks on the homepage, or simply call us on +1 703-257-0222.